No Classes for the Summer. Check back soon for Fall Class schedule. New drummers welcome! 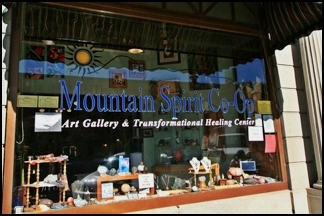 Classes held in the Gallery at Mountain Spirit Co-Op. 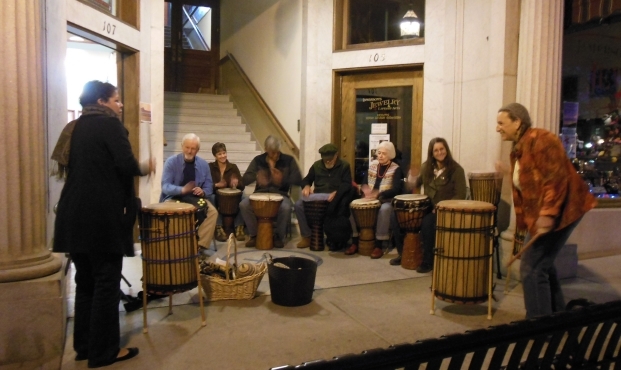 I moved to Prescott in 2010 from Rochester, NY where I had been studying West African drumming for 4 years. Although I was able to find classes and teachers in Phoenix, and Sedona, there were no classes here in Prescott that offered the kind of drumming I had come to love. I started Kakilambe Drum in June 2011, focusing on rhythms from Guinea, West Africa. The classes are geared to beginning and intermediate drummers. We focus on a single rhythm for several weeks at a time so that students can learn all the djembe parts as well as the Dunun (bass drum) parts. Classes are structured rather than improvisational. If you are brand new to drumming, you will find my classes very accessible. I also offer exceptional quality djembes for sale. These drums are made by Wula Drum, a company who manufactures drums in Guinea, West Africa and is focused on quality, community, and environmental awareness. Gaby studied West African Drumming with Bush Mango Drum and Dance in Rochester, NY, and with Michael Markus, artistic director of Magbana Drum and Dance in NYC. She started Kakilambe Drum as a way to share the joy she has found in the music. Daughter of renowned choreographer Donald McKayle, Gaby comes from a dance and performance family, and has rhythm and movement in her soul. She has performed with Women Walking Tall, a stilt-walking performance group in the San Francisco Bay Area, and with the San Francisco Fringe Riders, a Country/Western performance dance group, where she also served as dance captain. Gaby first became enamored with percussion in college when she saw Carolyn Brandy, then percussionist for the group Alive. She took her first drumming class with Debbie Fier in Oakland, California. When she moved to Rochester, New York, she found Bush Mango Drum and Dance and finally her early love of percussion was able to blossom. Under the tutilage of Bush Mango teachers Colleen Hendrick, Blair Hornbuckle, and Kris Kimmel, she quickly went from a weekly class to three classes a week, and then started staying to drum accompaniment for the dance classes. While living in Rochester she also had the opportunity to study with Michael Markus, artistic director of Magbana Drum and Dance in NYC. Gaby has also had the opportunity to learn from acclaimed djembefolas (master djembe players) Mamady Keita and Famoudou Konate, and has taken drumming classes with Mabiba Baegne, Ibou Ngom, Saturnin Ba, Fana Bangoura, and Herman Kathan. Gaby moved to Prescott, Arizona in September 2010 and, wanting to share the kind of drumming she had come to love in Rochester, she founded Kakilambe Drum. In August 2011, Gaby joined the Arizona Dunun Ensemble, a group of drummers and dancers from Sedona, Cornville, Flagstaff, and Prescott, Arizona. The Arizona Dunun Ensemble is available to perform at parties and events. Kakilambe is a mask-dance of the Baga people that live in the coastal area of Guinea, West Africa. Originally it was played on the Baga-drums that are similar to the djembe. "Kakilambé is a very important mask of the Baga people, that appears only once a year. The spirit of the Kakilambé is revered as the protector against evil entities. He appears to make important declarations about the present and the future. A priest of the Kakilambé is like a translator, since the mask doesn't talk directly to the people. It's a big day when the mask appears. Everybody comes to listen. Slowly the mask emerges from the forest, together with the priests. The people have gathered and are waiting. When all of the people bow, the mask grows to a height of five meters! It holds a string for each individual family of the village, and the other end is held by a member of each family. When the rhythm gets fast, the priest and some of the older men dance around the mask. The priest receives the information. Then he gives the musicians a sign, they play a break, and then the rhythm is played slower and softer. Afterwards he passes on the information given to him by the mask." 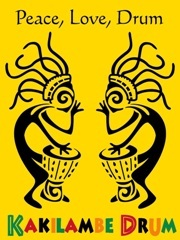 Many thanks to TattooTribes.com for allowing me to use their "Rasta Kokopelli" image on my logo!